Position traders huddle up! I’m servin’ up a neat range trade on EUR/CAD and a break-and-retest situation on NZD/JPY today. Check ’em and see if you can make pips from these long-term setups! Here’s a nice and simple range play for ya! 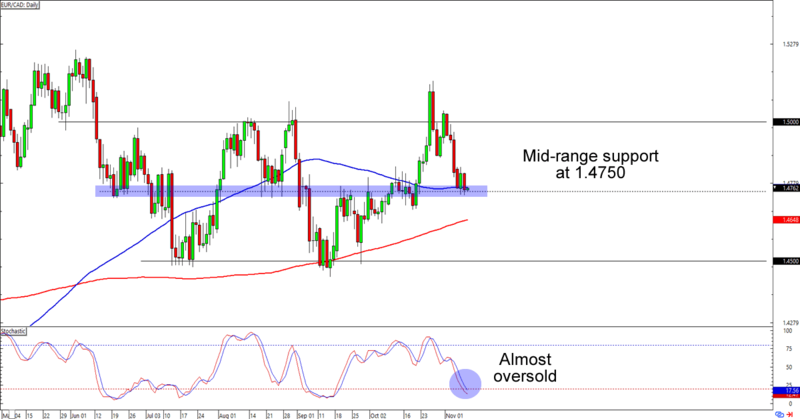 EUR/CAD is lollygagging at the 1.4750 area, which is right smack at a mid-range support AND the 100 SMA on the daily time frame. What’s more, stochastic also looks like it’s about to hit oversold territory! Buying at current levels and aiming for the 1.500 mark is a good idea if you think that the euro will soon bounce against the Loonie. If you’re not too sure about the common currency, though, then you could also wait for a retest of the 1.4500 range support before placing your long orders. Just make sure you don’t miss the move when it does bounce, aight? As you can see, NZD/JPY hit 77.50 late last month after breaking below a rising channel on the daily time frame. What makes the setup interesting this time around is that the pair has retraced back to the 79.50 area, which is also near a 38.2% Fib, falling trend line resistance, broken channel support, and a major area of interest for NZD/JPY. 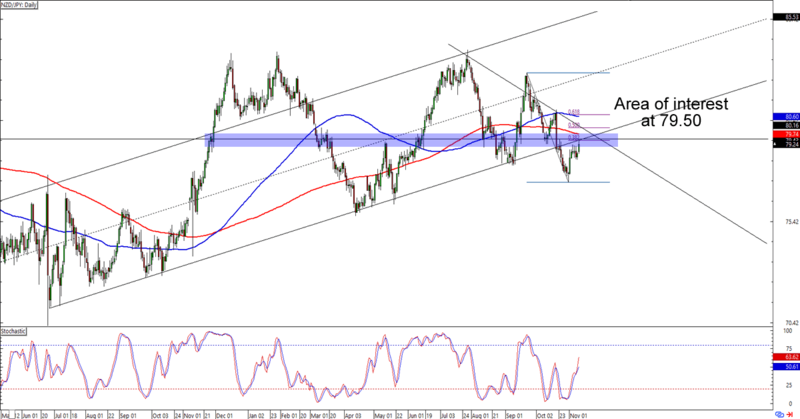 Think Kiwi will extend its downtrend this week? Shorting around 79.50 could work if you believe that NZD/JPY will make new Q4 2017 lows over the next couple of days. If you’re one of them Kiwi bulls, though, and you believe that last week’s “breakout” was actually a fakeout from the rising channel, then you could also wait for the pair to break above the 80.00 handle before placing your uptrend bets. Whichever your game play you choose, make sure you practice good risk management decisions when you execute them, aight?